Coin collecting - or ‘numismatics’, to use its technical term - is one of the most rewarding pastimes imaginable. We know of many collectors who have taken up collecting after inheriting a collection from their grandfather or uncle, and it is certainly a hobby that unites the generations in a shared fascination with the past. 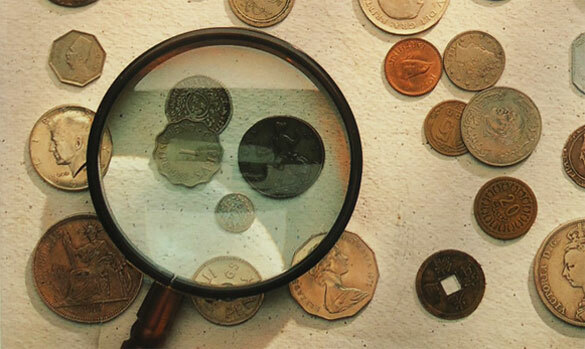 Whatever type or period of coinage you choose to follow, coin collecting combines the thrill of the chase with a thirst for digging deep into history - and it can produce tangible long term rewards. As a collector, you’ll become part of a wider community of coin enthusiasts who are generally more than happy to share information and expertise. You can also draw on organisations like The London Mint Office, who offer exceptional coins, a convenient collectors' service and a guaranteed no-obligation viewing period. The first thing to decide is what you would like to collect. It is important to specialise, as trying to collect coins on many disparate themes or from many different eras can prove overwhelming. If you specialise, you are far more likely to be able to complete a collection over time and then perhaps move on to a different subject or period. Taking a thematic approach can be a particularly imaginative way to collect coins. Following the announcement of a Royal baby and the 90th Birthday of her Majesty The Queen, collecting coins with a royal connection has never been more popular. The London Mint Office offers a number of popular collections that would be difficult if not impossible for an individual collector to source. Some such as the 'Royal Maundy Collection' or 'The Empire Collection' follow a Royal theme, while others centre on such diverse subjects as need new topics here . Depending on the size of your budget, you may wish to specialise in specific precious metals when you collect coins. Some countries are famous for their gold- and silver coins, others are less well-known but also issue stunning coins in precious metals. South African gold, for example, has been renowned for its quality for over 150 years and the South African ‘Kruger Rand’ is one of the ‘Magnificent Seven’, the seven most famous gold coins in the world. Collecting all of these seven gold coins does not take too long, but it can be challenging. Some of the gold coins in this collection are regularly sold out at the State Mints issuing them and the number of gold coin collectors is constantly rising, despite gold becoming more and more precious. The London Mint Office gives their collectors a completeness guarantee - once you enter in a collection, the London Mint Office will source or stock the coins for you until you add them to your collection - without any obligation for you to buy the coins. Whenever you decide to pull out of your collection, the coins are simply released for purchase by other collectors. The rise in the gold price may be the reason why miniature gold coins are proving so popular among coin collectors. With a diameter of only 11-13 mm, these coins are minted in solid gold but are still affordable. The small size is a challenge for the minting process and only the most experienced mints in the world are issuing these small sizes. It is fascinating how detailed the designs can be on such small formats and many collectors have specialised in these small gold coins for the sheer pleasure of owning such fabulous pieces of minting art. Rhodium-Platinum, another precious coin metal used for striking coins, is much rarer than gold and silver and is usually sold at higher prices. The Isle of Man Platinum Nobles are the first Platinum bullion coin created for investors. Collectors can also find coins and medals layered with pure platinum - these are usually special editions only minted for collectors and would not be found in normal coin circulation. The mintage of these editions is normally low, as layering coins is a manual process and cannot be done for big quantities of coins. Click here for more details. The collecting of vanishing currencies and coin motifs has hit new heights in recent years. Currency is ever changing and as soon as a legal tender coin disappears, demand for it tends to grow. Many collectors are currently turning to the pre-euro currencies of countries in the European Union, while others make a point of collecting every new euro issue as it becomes available. Again, The London Mint Office offers collections that bring together such coins in one place - sometimes historic, such as The Changing Face of British Coinage Set which contains the complete set of our pre-decimal coins. British silver commemorative coins also form the basis of popular London Mint Office collections, and some coin collectors are systematically buying all year sets, which contain all the different British coins issued in one year. There is also a thriving market for paper currency, a comparatively recent innovation in the history of money yet one that is richly collectable. In inflationary times, high-value banknotes can be printed and circulated and very quickly withdrawn, making them collector’s items for years to come. This is a highly specialised area that is ripe with possibilities for the committed collector. Coins don’t just reflect they are part of its fabric. When you rub a Britannia penny between your fingers you are touching something that during its lifetime went through thousands if not millions of pairs of hands. Much of the joy in collecting historic coins is in imagining the tales that they could tell. Another easy way to start collecting is by choosing a specific coin or denomination - anything from a humble penny to a gold sovereign - and building a complete collection of year dates. Some collectors are specialising on coins of specific countries only. Here in Britain, of course, British coinage is one of the biggest collection fields and many collectors document the history of our country by building up coin collections which follow through the nation’s coin history. The London Mint Office is the official distributor for most of the important state mints and national banks and will keep collectors of international coins informed about new interesting issues, often receiving significant parts of the total coin quantity that these mints make available for the UK.